Portable, yet highly efficient. 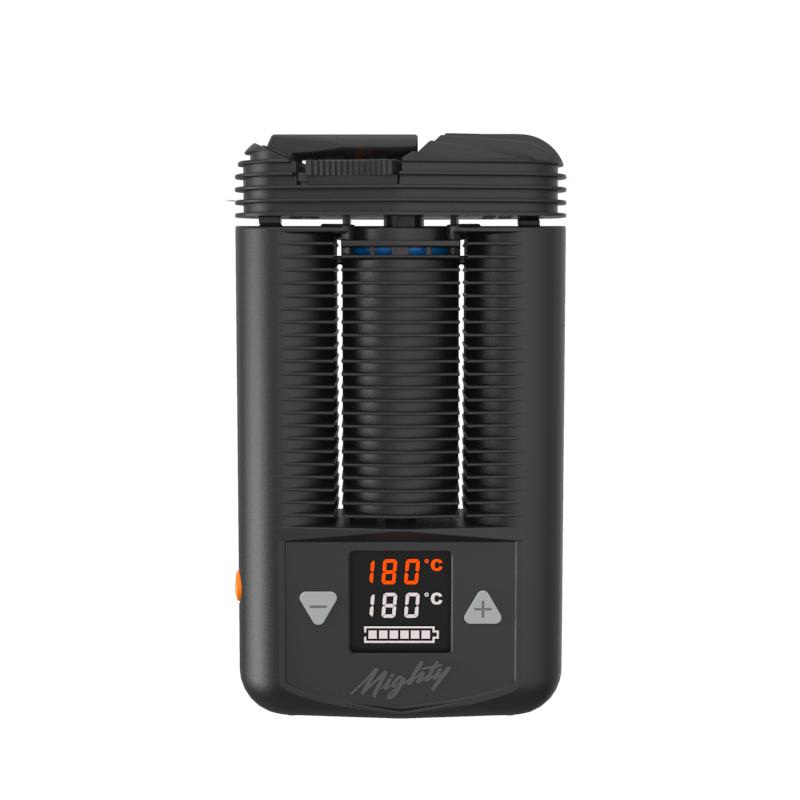 The battery-powered Mighty Vaporizer uses a patented combination of full hot air convection heating and additional conduction, which ensures an efficient vaporization from the very first draw. The integrated 1.4 cm³ Filling Chamber can be used for herbs or liquids with the additional Drip Pad. The Cooling Unit with flipable Mouthpiece provides the delivery of pleasant vapor and optimal flavor. The operation of the Mighty is especially simple. With the prominent LED display and the plus and minus buttons the temperature can be set directly on the device. Two powerful lithium ion batteries extend the vaporizing pleasure. Once discharged, the Mighty performs plugged in just as well with pass through power: Via power adapter, the Mighty can be used even with completely drained batteries.